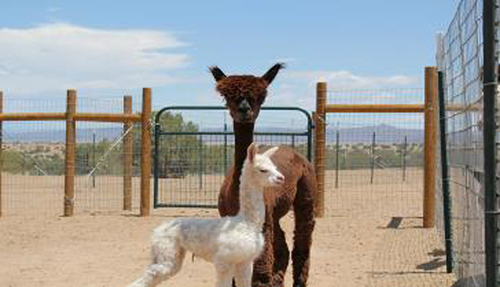 Welcome to Humming Desert Alpacas! We are a small, three acre farm conveniently located just off I-25 between Albuquerque and Santa Fe in Budaghers Estates at Exit 257. 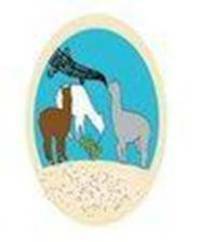 We are a full service alpaca farm dedicated to breeding and selling healthy, quality huacayas. We place a strong emphasis on herd health and preventative care to ensure we have a happy, healthy herd. Humming Desert is currently breeding top genetic lines from Peruvian Hemingway, Snowmass(Invincible, Quechua, Nova, Peruvian Escobar, Drambuie's Kaluha, Hallmark’s Heritage, Perfection, Accoyo Elite, Matrix), PPeruvian Caligula, 4Peruvian Legacy, PPPeruvian Legacy, Don Julio, and Peruvian Bueno, PPPeruvian Royal Fawn, Dom Lucilio, Don Raphael, Accoyo America Triumph, Accoyo America Atticus, Victor's Hemiaccoyo Cassanova, AVATAR, Rayo Del Sol, Tuscan Gold, and Caligula's Accoyo Poseidon. In addition to show quality animals, we also have pet quality/fiber animals. We offer 12 month, interest free financing and discounts on package deals! 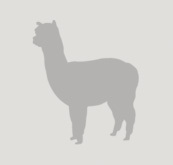 We also offer agisting services for those who are interested in alpaca ownership but just don't have the space yet. Agisting fees include board, feed, and basic preventative care.